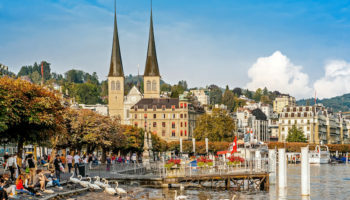 The capital of Switzerland is a historic destination in Switzerland. Offering a combination of palaces, parks and gardens, Bern is a truly scenic city. It is hard to imagine a more picturesque destination! 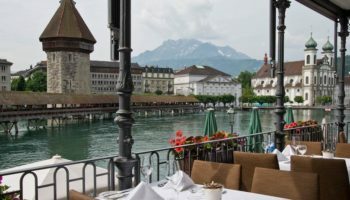 The River Aare is a prime feature of the city, providing waterfront views from thousands of vantage points. 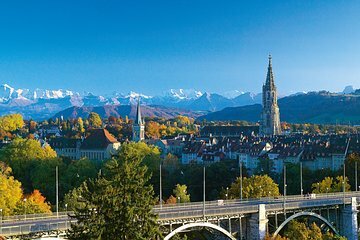 Whether you’re a science nerd, an art fan or a nature lover, you can be sure there is a tourist attraction in Bern available and waiting. The undulating structure of the Zentrum Paul Klee is a staggering landmark all on its own. Inside, however, it continues to impress. The Zentrum is the world’s most impressive collection of art from Paul Klee. Klee’s works are Expressionist, Surrealist and Cubist pieces, and they were largely influenced by Bauhaus design and architecture. In the Zentrum Paul Klee, you can explore two large exhibition halls holding iconic pieces like Park Near Lu, a colorful painting that contrasts the black lines of the tree with the colorful leaves that surround it. One of the biggest museums in Switzerland is the Bern Historical Museum. 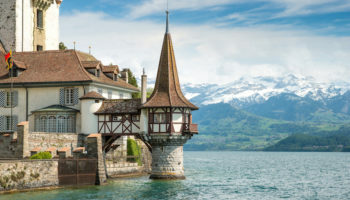 The museum’s exhibits trace the history of Switzerland from its prehistoric and ancient origins all the way to some of the city’s most impressive modern achievements. While there are countless exhibits, be sure to check out the Burgundy Tapestries and the elaborate gold and silver collections from the 16th through 18th centuries. The Bern Historical Museum also houses the Einstein Museum, which is a fantastic way to learn more about Einstein, his life history and his contributions to the world of science. Locals living in Bern known the Gurten Hill as one of the most scenic, relaxing and sunny spots in the city. However, far too many tourists skip over it. Gurten is a large hill just outside the city, offering spectacular views. From one side, you can admire the city, and from the other side you can spot the Bernese Alps. 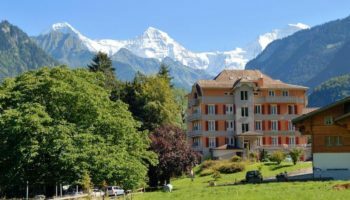 Check out some of the hiking trails, which wind around the region and can be a nice way to work up an appetite before a tasty Swiss dinner. 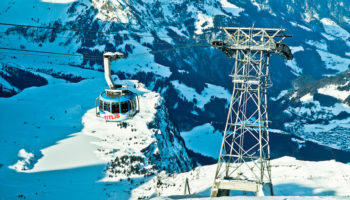 Although you can walk from the tram station, you might want to take the Gurtenbahn. This is a train that offers panoramic views in just a five-minute journey. Between 1903 and 1905, Albert Einstein lived in Kramgasse No. 49 in the center of Bern. Einstein lived at the residence with his wife Mileva and his son Hans. During his stay in this particular home, Einstein wrote the Annus Mirabilis Papers, which were vital to the founding of physics as we know it today. His apartment can be toured, and it is furnished with decor and furniture suitable for the year 1905. Head up one floor, and you can explore Einstein’s history and his connection to Bern and Switzerland as a whole. 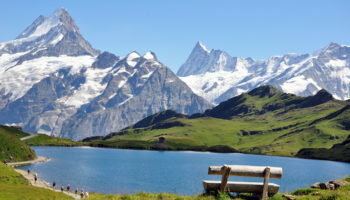 According to a local legend, the name Bern is derived from the word for bear, and bears have long played an important role in the city’s history and culture. The bear pits, or Bärengraben, are no longer just pits where the bears are on display. Instead, the bear habitats have been drastically enlarged, and you might spot the bears swimming or cooling down in the River Aare. The original bear pits were set up in the 16th century, and everyone from Einstein to Lenin peered at the animals over the years. While the bear pits remain an important part of the city’s heritage, the bears are treated much better today than in centuries past. The Bundeshaus, or the Federal Palace of Switzerland, is where both the Swiss Federal Assembly and the Federal Council convene. The two wings house the two branches of government, clearly making the building one of the most important in the country. Built in the 19th century, the Bundeshaus is a beautiful structure that also holds the honor of being the seat of one of the world’s very first modern democracies. When parliament isn’t in session, it is possible to tour the federal building. Directly in front of the Bundeshaus, look for the fountain located in the Bundesplatz Square, which is a favorite tourist attraction in Bern. 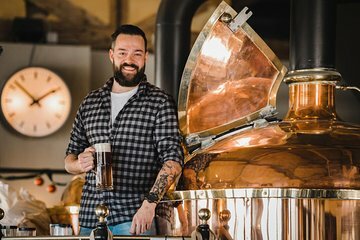 If you’re planning to spend any time in the Old Town of Bern, then you’ll definitely want to stop in at the Rosengarten. The small urban park is located on top of a small hill, which means exceptional views over the city below. You’ll find more than 200 varieties of roses in the garden, not to mention nearly as many types of irises and even a collection of rhododendrons. 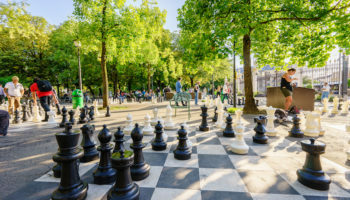 There is a small children’s playground for the kids, and there is even a lovely restaurant where you can sip a coffee, dine on a light lunch and watch the city’s hustle and bustle from above. Although construction began on the Bern Minster all the way back in the 15th century, the Swiss Reformed Cathedral was only completed in 1893. It is the tallest cathedral in the city, and even in all of Switzerland. The Gothic architecture boasts three knaves and an incredible spire that towers over the city. Arguably the most beautiful aspects of the Bern Minster is the portal with its detailed depiction of the Last Judgment. While it is a good idea to see the cathedral up close and tour the interior, some of the best exterior views and photos come from a vantage point on the bridge known as the Kirchenfeldbruecke. 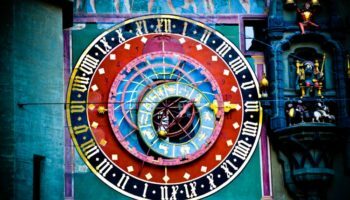 One of the most recognizable landmarks in Switzerland is the Zyglogge, a 13th century clock tower found in the heart of Bern’s Altstadt. The clock does far, far more than just tell you the time. A few minutes before the hour, every hour, a jester starts drumming and the music begins. When the clock strikes the start of the hour, characters depicting the king and his bears pop out from the clock and begin captivating the audience below. This is a treat for kids, but adults will also appreciate the longevity of this clock and its role in Bern’s history. Look for the clock’s display that shows the month and even the current zodiac symbol. Bern’s Old Town is one of the most charming in all of Switzerland. It’s cobbled lanes, lined with sandstone arcaded buildings, have changed little in five hundred years and you’ll be able to explore some of the oldest and most significant attractions in Bern. 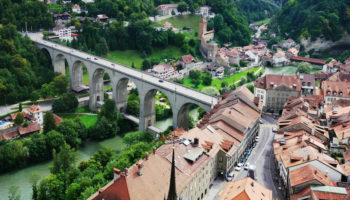 The Altstadt is surrounded on three sides by the Aare river, creating a natural boundary for this historic area. The medieval neighborhood boasts fountains from the 16th century and arcades from the 15th century. Trams pass through the Altstadt for a quick view of the river and the most beautiful fountains and their sculptures, but walking is the best way to admire as many as possible.